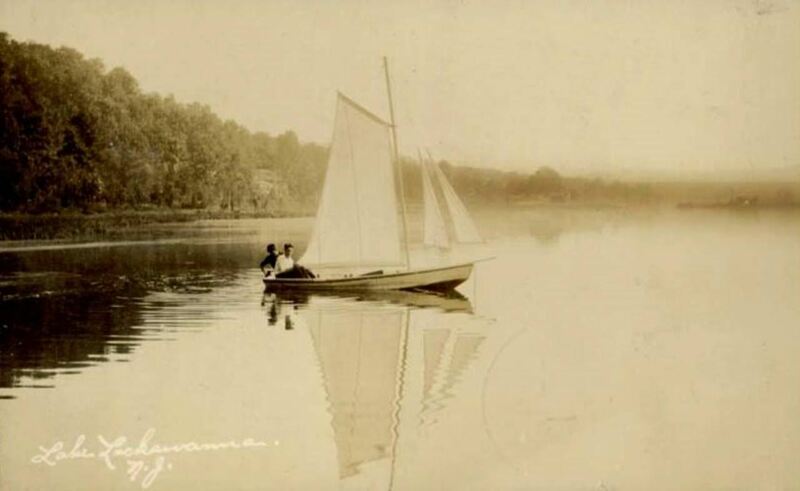 Early RPPC view of a snipe sailboat on Lake Lackawanna. This card is not from my collection but from my photo archive. It was posted in 1923, thus setting an upper limit on image date. Roseville Road (currently Lackawanna Drive) would be to the left. Jack’s Pavilion and Island Park “Turtle Island” are in the distance at right.